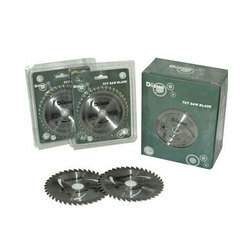 We are a leading Manufacturer of tct saw blade, diamond saw blade and granite saw blade from Delhi, India. 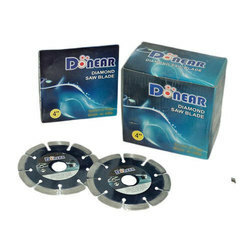 Matching up to the diverse needs of the patrons, we render the best quality of TCT Saw Blade. Valued for its excellent cutting efficiency and durability, the TCT blade is available with us in various technical specifications. For fabrication of the TCT blade as per the industry set norms, we make use of modern machinery and technology. For the purpose of cutting granite in the most efficient manner, the Diamond Saw Blade is used in various industrial applications. Rendered by us in various technical specifications, the granite cutting blade is known for its optimum granite cutting efficiency. The granite cutting blade is precisely engineered by using modern machinery and technology. 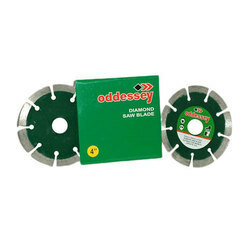 Counted as first among the best, we render the best grade of Granite Saw Blade. Appreciated for its excellent cutting efficiency, the blade is used for the purpose of cutting of marbles in various sizes and dimensions. Fabricated by using modern machinery and cutting-edge technology, the quality of the marble cutting blade is always maintained.